AgileField, an industry leading provider of field service management solutions for the mid-market, has been accepted as an affiliate member of the 90 Minds Consulting Group. Scottsdale, AZ, September 20, 2018 --(PR.com)-- AgileField, the leading provider of field service management solutions for the mid-market, has been accepted as a member of the 90 Minds Consulting Group. 90 Minds is a consortium of more than 200 independent Sage and Acumatica business partners throughout the country. Its members collaborate for mutual benefit, creating best practices and sharing their experiences and knowledge. AgileField’s partner program is specifically designed for mid-market ERP and CRM business partners. It offers a long list of benefits including the lowest barriers to entry in the channel with the highest margins on licenses and renewals. 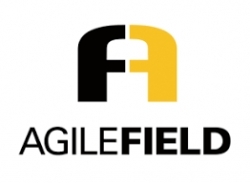 "AgileField brings a much-needed field service product to our mix of Affiliates members for 90 Minds. We look forward to the collaboration and expansion of services we can provide our customers," said Moira Goggin, Executive Director, 90 Minds. AgileField Inc. is a leading provider of field service management software for the mid-market and the first to introduce a comprehensive methodology, AgileField, for advancing field service capabilities, improving profitability and customer satisfaction. AgileField combines our mobile-friendly, flagship SaaS application, AgileFSM together with an integrated set of technologies, processes, reports, controls, and learning materials that serves as a "step-by-step" guide for improving operational and financial performance.